GOKPOP | Exclusive K-News in Malaysia & Singapore: Lost in Love and Lost in Adventure - What’s Your Pick? Lost in Love and Lost in Adventure - What’s Your Pick? We’ve stepped into February, the most romantic month of all, so if you’ve not yet started planning for that special day, get cracking! ONE HD (Astro Ch. 393) is bringing FOUR Korean show titles for you to enjoy with your loved ones this month. Premieres on 21 February (Wed) at 8.10PM, 2 episodes back-to-back. Subsequent episodes air on Tues & Wed, 8.10PM. Past the halfway point of their lives, a copywriter (played by Kam Woo Sung) and an ex-flight attendant (played by Kim Sun Ah) worry over having to spend the rest of their lives alone without a companion. Finding a kindred spirit in each other, they develop feelings between them – but is it really love or is it just loneliness? For some adventure and laughs, tune in to the newest installment of the Law of the Jungle. This time your favourite celebs will be in the South American region of Patagonia! Law of the Jungle in Patagonia features Kim Byung Man, Kangnam, Hon Jin Young, Kim Jong Min, Jung Chae Yeon (DIA), Kim Dong Jun (ZE:A), JR (NU’EST) and Rowoon (SF9). Follow them at the beginning of their adventure tomorrow as they learn how to survive on their own in the jungle and experience life away from the city. As a lawyer who grew up with little luxuries, Choi Jae Hye (played by Go Hyun Jung) is now the host of a legal-themed reality TV show, 'Return'. 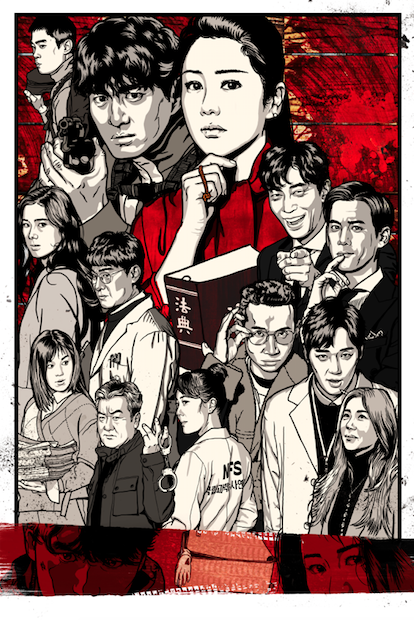 When a murder case that involves privileged children of upper-class society surfaces, she pairs up with the temperamental detective Dokgo Young (played by Lee Jin Wook) to seek the truth. Which wealthy heir will turn out to be the murderer? While Yoon Ye Eun (played Shim Yi Young)'s perfect life comes crashing down after she discovers that her husband is cheating on her, her sister isn't having it any better as Yoon Sang Eun (played by Han Young) falls into debt and contemplates a contracted marriage to pay it off. Is love and happiness still an option for them as they overcome their challenges and seek their own sense of identity? Tags: drama, Happy Sisters, K-drama, law of the jungle in patagonia, Lifestyle, ONE HD, Return, should we kiss first?